Nothing is more special than getting a chance to meet your favorite K-Pop idol and ask for an autograph! Whether it happens by chance on the street or at a coveted fan meet, some idols go beyond signing their name by adding a special image or drawing to make getting their autograph really special! Check out some fan-favorite K-Pop idol autographs and signatures below! 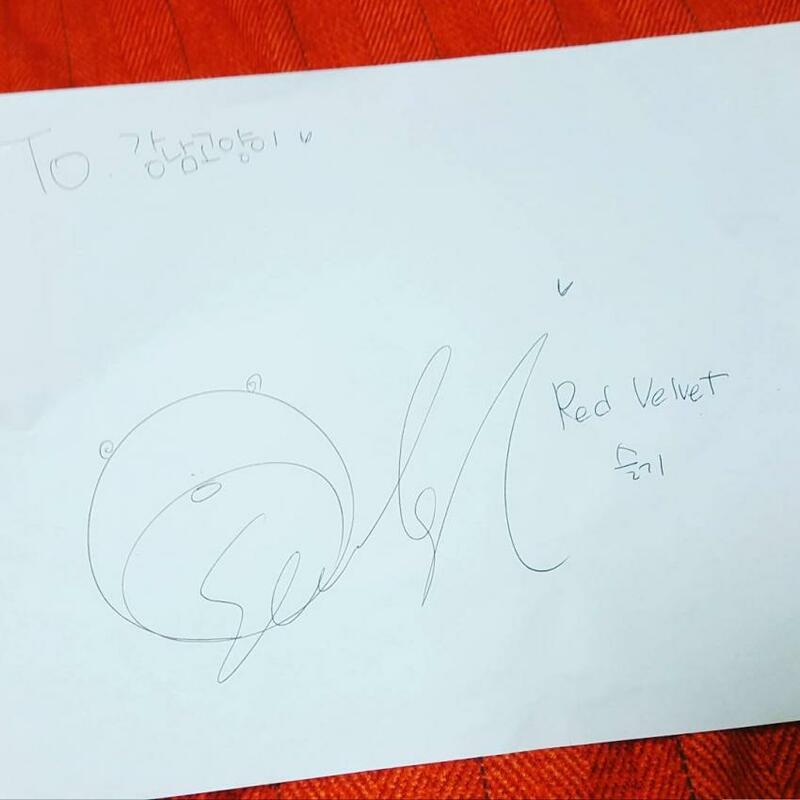 Red Velvet's Seulgi signs her signature with the cutest bear! Fans love Seulgi's unique signature, as the bear has the smallest and cutest ears and nose! Seulgi even changes the bear depending on the era! Kang Daniel's signature is cool and unique on many levels. Not only does it see that his signature reads as "DanK", but he also underlines it and draws two circles. Netizens suspect it's supposed to make the signature look like it's on a skateboard! 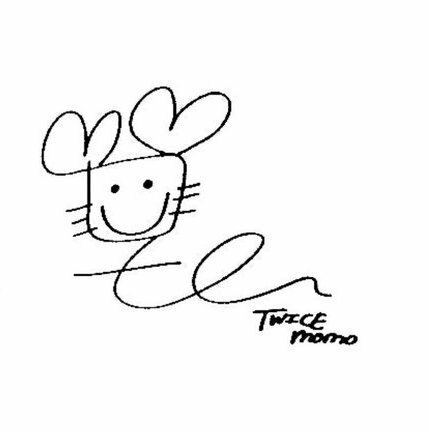 Out of many K-Pop idol autographs, TWICE's Momo has one of the most iconic and unforgettable signatures. This little doodle, is supposed to be a slug! Even though it vaguely looks like a cat with heart-ears and a snake body, this slug is one of the cutest autographs we've seen from an idol. Going along with the animal theme, CLC's Seunghee also draws a cute little duck into her autograph. We love the beak in particular as it seems to be way smaller than the size of the duck's head! All of Stray Kids members have amazingly unique signatures and autographs. From Minho's angry little avatar to Changbin's hilarious deadpan face to Chan's baby dino, this group has some of the best idol autographs to date. In multiple performances and in her Japan tour, Taeyeon of Girls' Generation has employed the use of the butterfly as a major motif and symbol. She even incorporated her love of the butterfly into her signature! 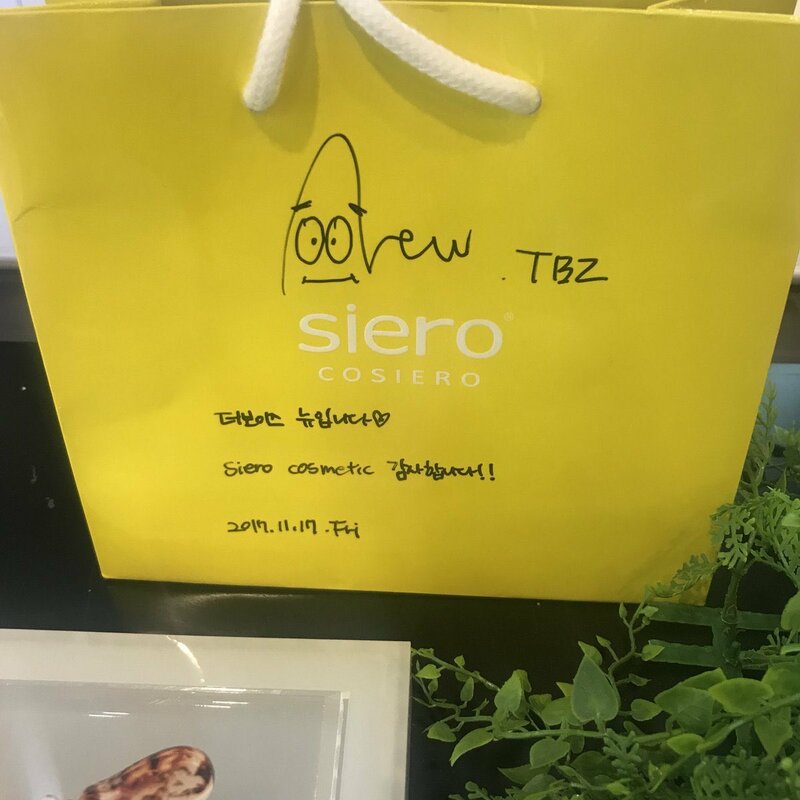 Given Taeyeon's been in the industry so long, even her autograph looks seasoned and professional. New of The Boyz decided to go the animal route, but also touch bases with pop culture by including a small doodle of Patrick Star in his autograph. What a creative way to fill up some space in the N in New! BTS J-Hope has always signed with a very straightforward autograph, but he opts for a cute tree doodle around it to give it a little something extra. ARMY often have discussions on whether J-Hope is drawing a tree or a cloud- but we think it's a tree! What do you think?